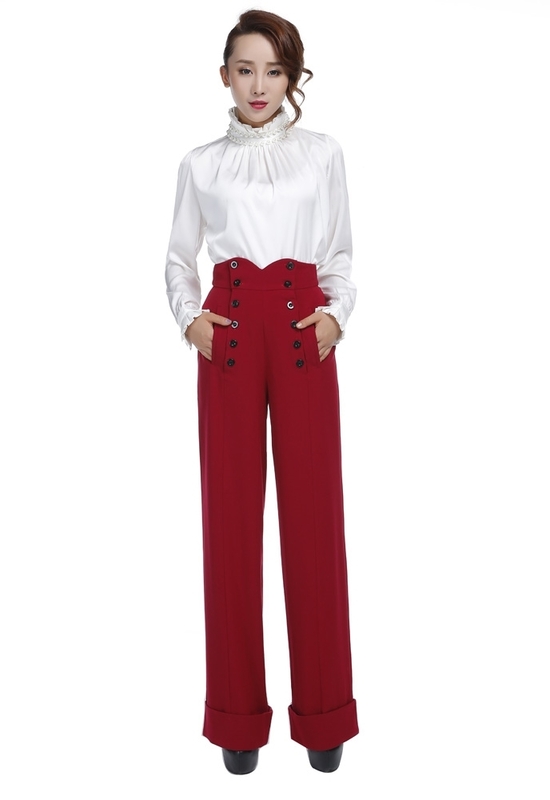 1940s style pants feature functioning button opening down the front. They are a wide straight leg pants with pockets in the back and front. Standard size approx. length:43 inches; Plus size approx. length:46 inches.